​The last year has been something of a Greek tragedy for French goalkeeper Hugo Lloris. He climbed his own Mount Olympus in Russia last summer, leading his country to a glorious World Cup victory as he joined the pantheon of winning captains. However, he swiftly transformed from a national hero into a tragic one, spending a night in a London prison cell following an arrest for drink driving. That degradation came less than two months after the crowning moment of his career in Moscow; Hugo's hubris had triggered a chain of events that would gradually unravel the 32-year-old's reputation as one of football's finest shot-stoppers. The media, both British and abroad, were scathing in their criticism of Lloris' ill-judged decision on that late summer night. The scrutiny was intense, enough to make even the most resilient individual squirm. Of course, the pressure told and, after resuming his position between the sticks for ​Tottenham, the Frenchman appeared shot of confidence. A man whose performances were once characterised by bravery, leadership and dependability looked a shadow of his former self. That criminal error in judgement mirrored a string of errors on the pitch. Mistakes increasingly crept into his game - costly ones, too. In successive ​Champions League fixtures, Lloris made two high-profile blunders. First, he rushed out in an attempt to fluster ​Barcelona's Jordi Alba, only for the Spaniard to square a simple ball to Philippe Coutinho who could not miss with an unguarded net gaping before him. Mere weeks later, he made another hot-blooded decision to once again charge forward, competing with PSV Eindhoven's Hirving Lozano in a sprint to a bouncing ball. Lloris was dismissed after he lost the race and Spurs soon lost their lead, Luuk de Jong's late finish securing the hosts a 2-2 draw. A catalogue of poor displays litter the former Lyon player's season in north London. The latest came in an agonising last-minute defeat to ​Liverpool at the end of March, Lloris flapping at Mo Salah's headed effort. Rather than clear the danger, he ricocheted the ball into his own defender, Toby Alderweireld being the unfortunate man roped into his captain's infuriating antics as he unwittingly got his name on the score-sheet for the opposition. The odd mistake is forgivable, especially for a goalkeeper. As the last line of defence, a lapse in concentration regularly leads to a goal. With that being the case, their errors are magnified and can unjustly be blown out of proportion. However, this has become too regular an occurrence for Mauricio Pochettino to tolerate. The Argentine is maximising the potential of his squad, setting them on course to qualify for a third consecutive Champions League campaign, whilst also guiding them to the quarter-finals of this year's competition. The coach's excellent work is repeatedly being undone by his skipper, the man he should be most able to rely upon. Something must change. For the remainder of this season, Paulo Gazzaniga should be handed the number one jersey. In his ten appearances to date in 2018/19 - two of which have been in the ​Premier League - the back up keeper has been assured and confident; the same cannot be said of Pochettino's first choice. However, the latter's displays in previous years stand testament to his class. You don't lead your country to World Cup victory without more than a bit of talent. Lloris should be ousted for the closing stages of this term, but his exile should not be permanent. That is, of course, assuming that Gazzaniga does not blossom into a highly able, hugely reliable shot stopper. 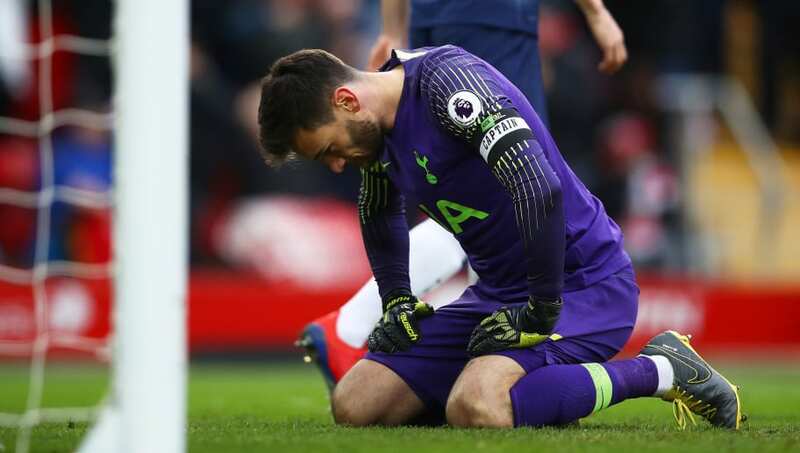 If such an outcome were to occur, it should spell the end of Lloris' time with the Lillywhites. On the basis that the ex-​Southampton man performs admirably, but not exceptionally, his counterpart should be reintegrated when August rolls around. The France international's errors this season demonstrate an impulsive mentality which has, perhaps, been exacerbated by a need to redeem himself. Time out of the blinding spotlight could do Lloris' mind a world of good. It would offer an opportunity to reflect, accept the past and move forward. Catharsis is the key. When Manuel Pellegrini removed Joe Hart from centre stage during his tenure at ​Manchester City the Englishman came back all the better for it. In the autumn of 2013, he, like Lloris, had allowed foolish errors and recklessness to creep into his game. A brief spell on the sidelines ensued before Hart came back razor sharp. The current ​Burnley man produced marvellous showings for a sustained period of time thereafter, including a memorable one against Barça. That night the eminent Lionel Messi hailed Hart as a 'phenomenon'. He may not quite hit such astounding form, but Lloris would undeniably benefit from some similar tough love.